I always like to work with generic shapes. 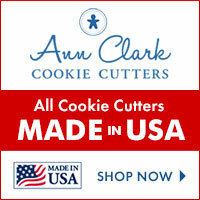 There is so much you can do with a square or an oval cookie! For this set I just grabbed an assortment laying around and started to play with them. I always have icing transfer flowers in stock. Whenever I have some left over icing and some spare time I make some flowers. These little swirl roses are shades of Americolor dusty rose. I start with a color, then when I don't have enough icing in the bag to continue piping I mix some white to it to get the next shade. I repeat this once more to have three shades of the same color. I store my flowers in plastic containers and list the extra in my Etsy store. This way, whenever I need some flowers I have a nice stash to choose from. The other color for this set is yellow and to make it interesting I added some texture by sprinkling sanding sugar on the flood icing. This looks just as good for me as disco dust, but it's all natural from TruColor. I love these sanding sugars, but I did not like the plastic jars they came in. So I bought spice jars to store them. The great news is, TruColor just came out with a new packaging: spice jars. They should be available in stores soon! Here you can watch how I made these cookies, enjoy! 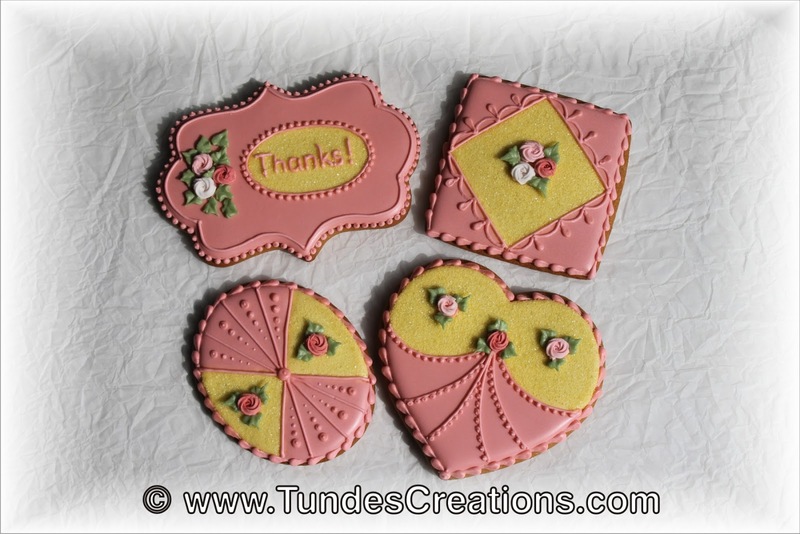 Nothing says thank you like a cookie. And if you are feeling extra grateful then go for a whole batch. I am a staunch believer in the emotional support sugar provides!